On the night from 6 to 7 of June 2017 in the electric steelmaking shop of PJSC “Energomashspetsstal” 250,000 tons of steel were smelted in the new modern steelmaking complex EAF-70. Metallurgists Igor Golovko, Yevgeny Gorobets, Andrey Andrienko, Alexander Priymak welded the jubilee heat under the guidance of chief foreman Andrei Borisenko and foreman Artem Tokar. The first steel on the EAF-70 was melted four years ago. The modern complex includes an electric arch furnace, secondary refining unit and modern powerful fume-cleaning plant. The value of unique equipment is not only in production capabilities, but also in the ability to provide European level of production environmental safety. For today, the maximum weight of the ingot, which was manufactured at EMSS is 415 tons. 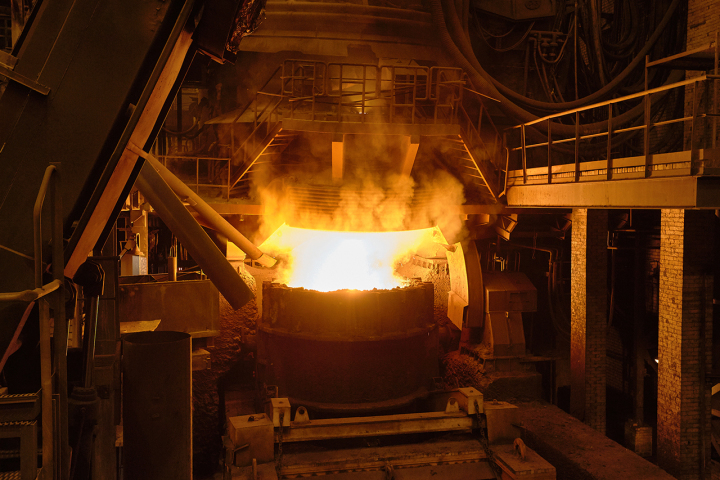 The production capabilities of Energomashspetsstal allow to produce large-tonnage ingots weighing up to 500 tons.